Hello there! 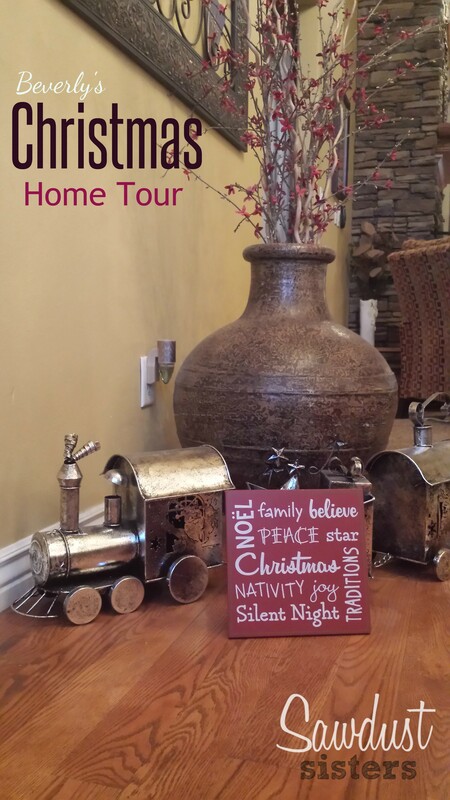 Thank you for checking out some of my Christmas decor this holiday season. I actually did not put all of my Christmas stuff out this year. I tried to keep it kind of simple. 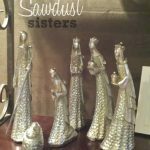 I will share with you where I got some of the items on the pictures, but for the most part I will let the pictures do the talking. So come on in and enjoy! Some affiliate links included for your convenience, click here to read our full disclosure. Train set is from Real Deals a couple of years ago. The wooden sign is from Deseret Book. This is the front of my house at night. I love it! I added some red lights this year, but I think I need to buy a few more light strands to make those trees stand out a little more. 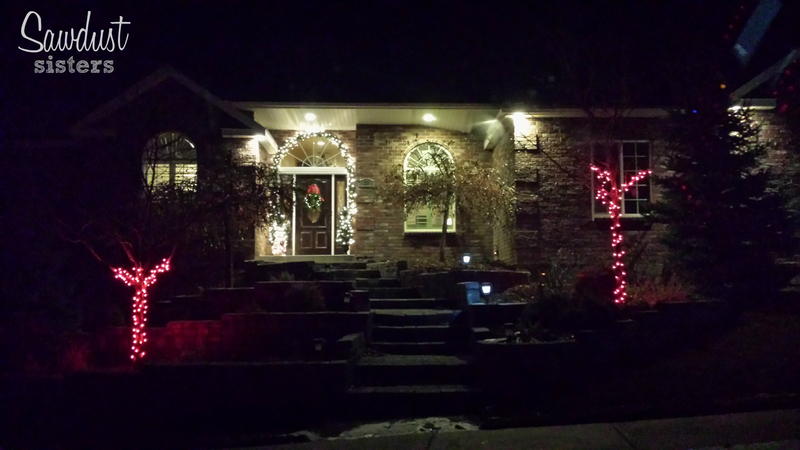 I have a lighted garland going around the door arch and two matching pine trees on either side of the door. 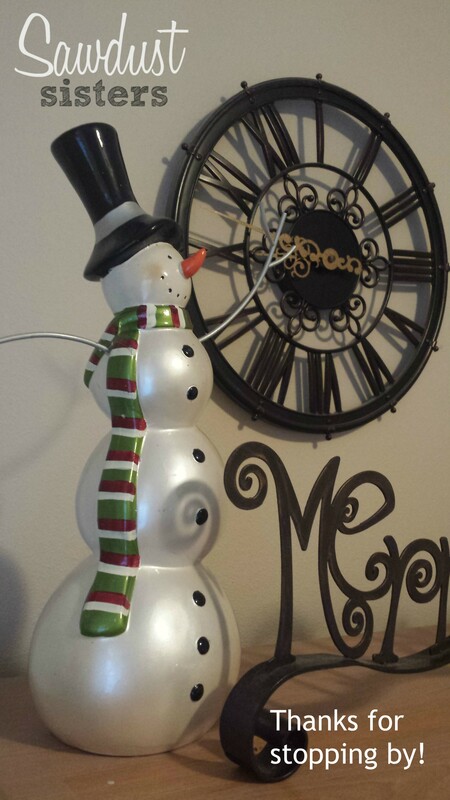 I also have a snowman to the left. As you walk into my foyer there is a small side table to the right. Here is a shot of our Christmas card for this year. 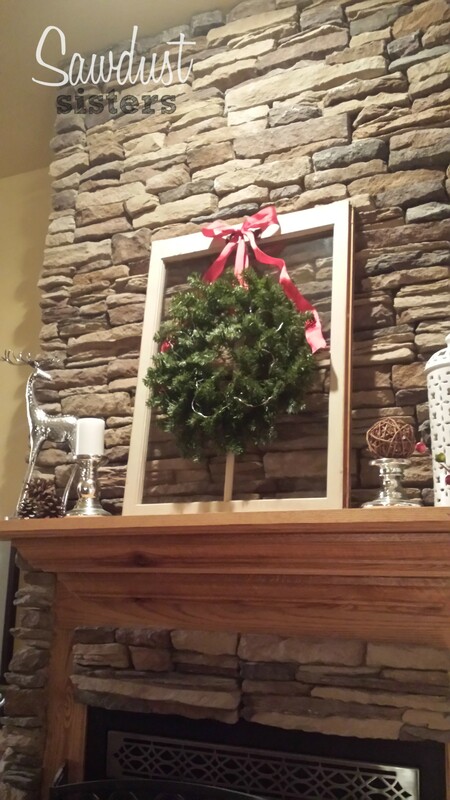 The berry wreath I bought at target, and the glass vase is from Pier 1 Imports. This shot is a bit blurry, but you get the idea. 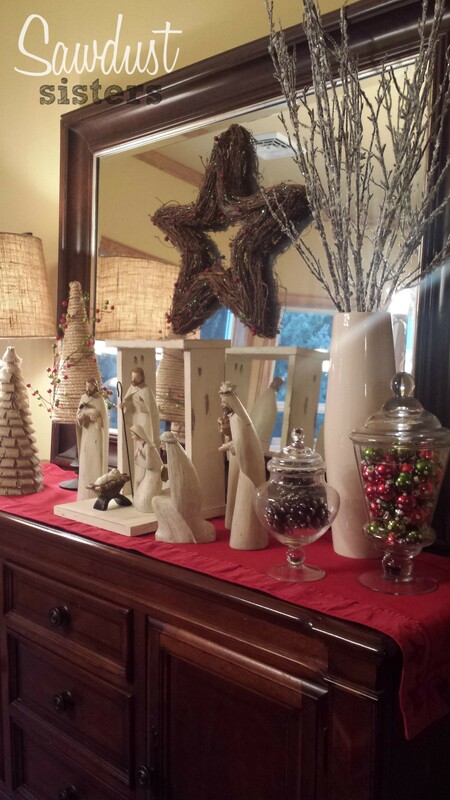 The candle holders are also from Target and the candles from Pier 1 Imports. 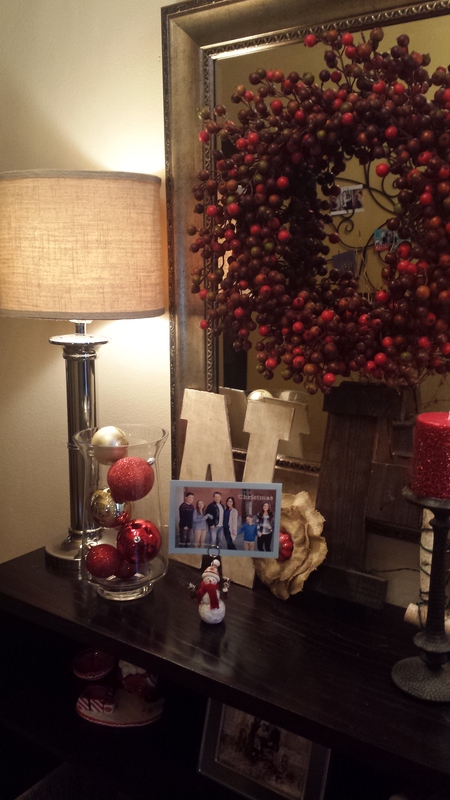 The other stuff I have bought on clearance after Christmas, except for the NOEL sign leaning on the mirror below the berry wreath. My sister in law gave it to me for Christmas and I love it! My living room comes next. I usually get ribbon at Sam’s Club or Costco. They have the best deals on ribbon, and they are beautiful! I also wrap cereal boxes with wrapping paper and ribbon to decorate the bottom of my tree. 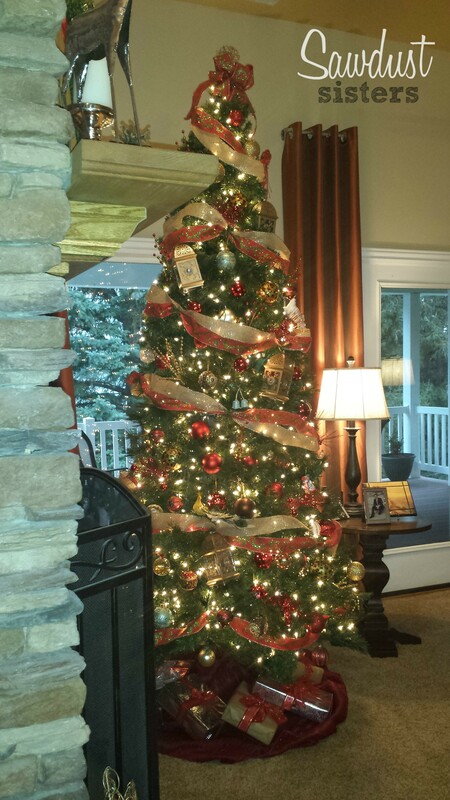 The lanterns you see on the tree are from Pier 1 Imports as well. 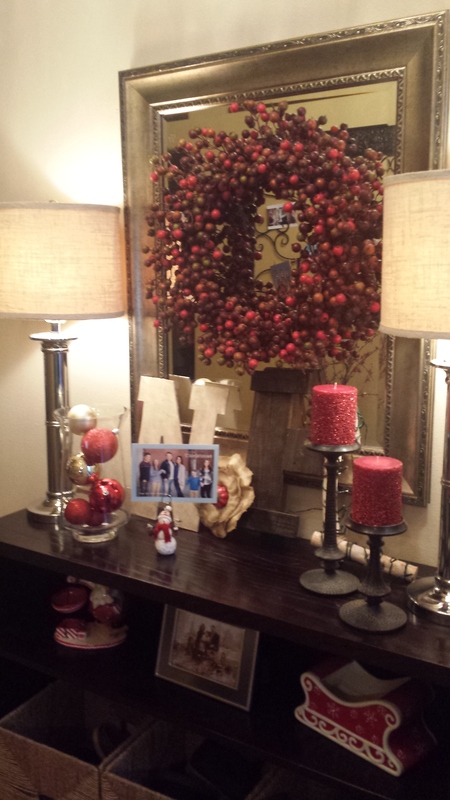 Here is a shot of my mantle. 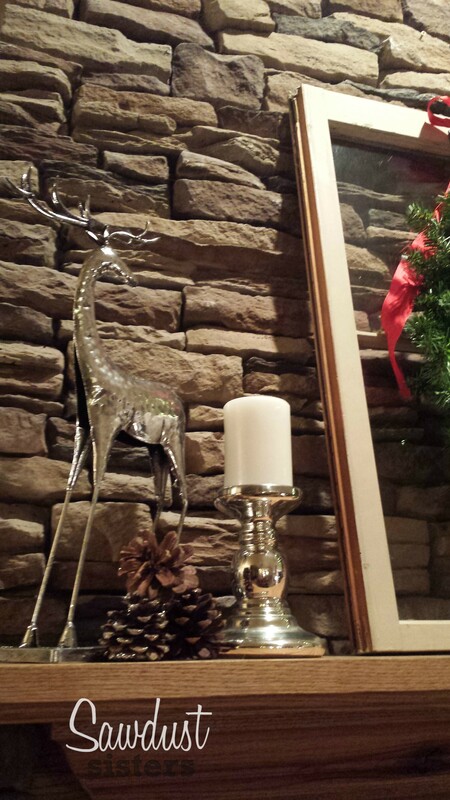 The reindeer is from Hobby Lobby, and the candle holder is from IKEA. We don’t really do stockings, so I left them out. 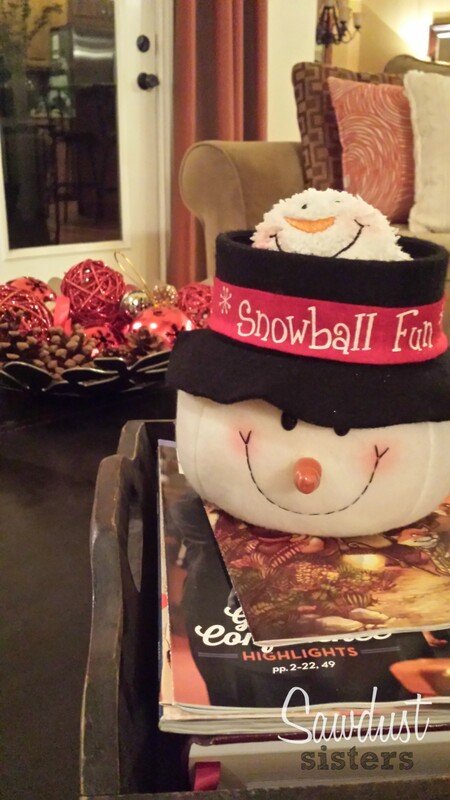 I have an ottoman as a coffee table and a tray that I fill with decorative spheres. For Christmas I just find extra ornaments and pinecones to have a cute festive tray. It is from IKEA. Behind the couch I have a bookcase with pictures and other decor that I try to rotate throughout the year. 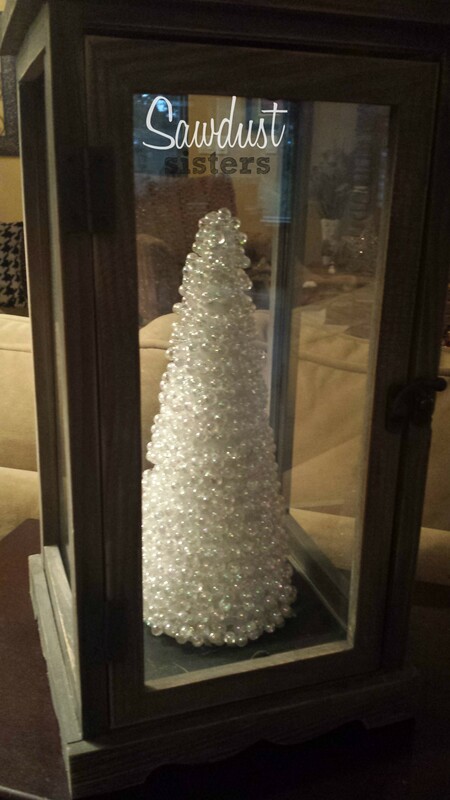 This lantern sits on the top and this time of the year I place a cute sparkly tree inside it. I actually made this one. I fell in love with this nativity. I found it at Real Deals here in Rexburg. 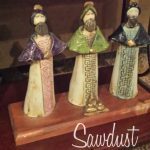 My three wisemen were made by Puerto Rican artisans and I have had them for a while. 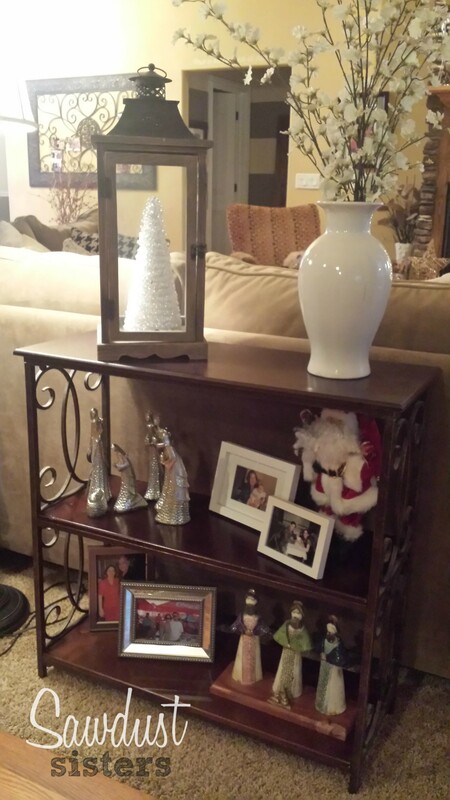 Last but not least, my buffet table in the dining room. 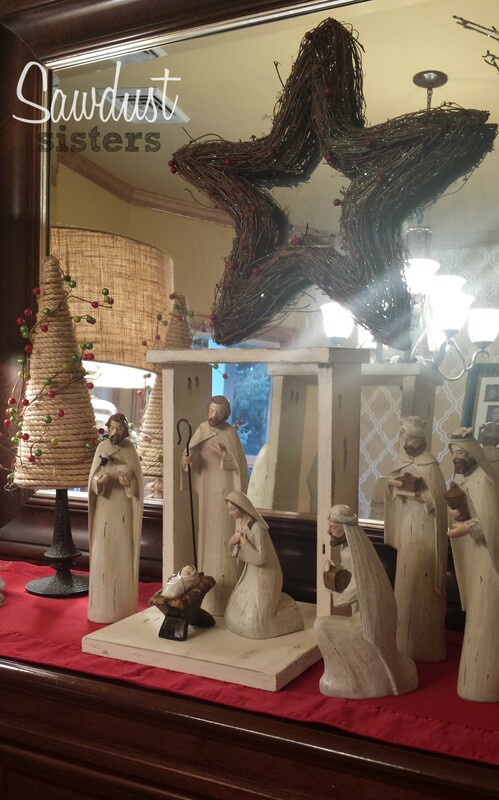 In a previous post, I shared how I built a stable for this nativity I found at Hobby Lobby. 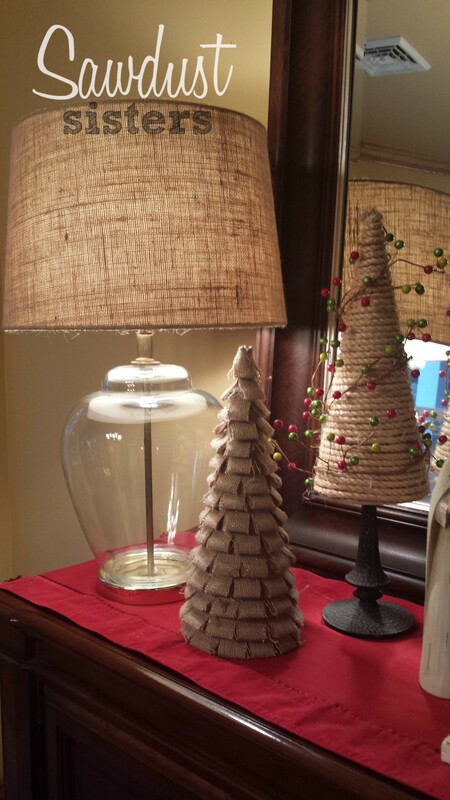 And the DIY trees that I adore! One of them is sitting on a candle holder! 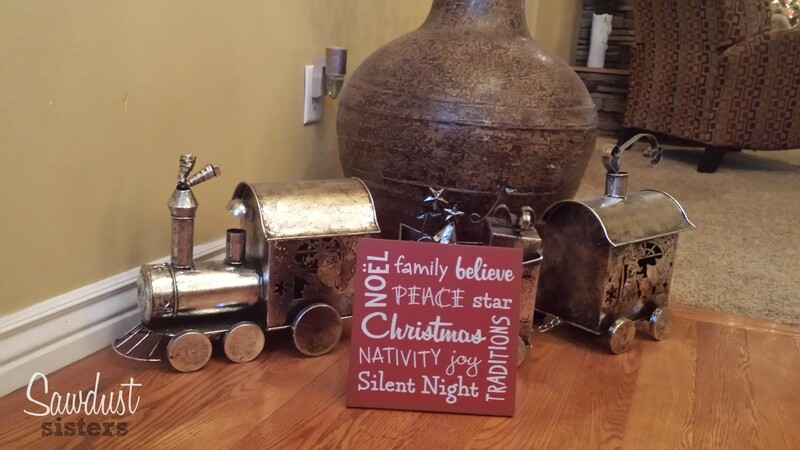 The star is from Pier 1 Imports a few years back. The red runner is from Target too!